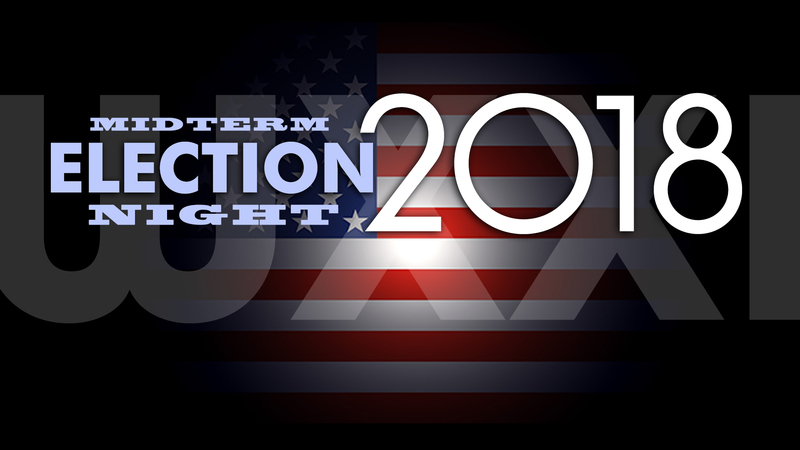 WXXI brings you special coverage of the midterm elections on Election Day. WXXI-TV will carry PBS NewsHour Election Night coverage, starting at 8 p.m. Providing full primetime coverage and analysis of the midterm election results, anchor Judy Woodruff will be joined in studio by syndicated columnist Mark Shields, New York Times columnist David Brooks, Cook Political Report national editor Amy Walter, editor and publisher of America Greatness Chris Buskirk, MoveOn.org senior advisor Karine Jean-Pierre, and PBS NewsHour Capitol Hill correspondent Lisa Desjardins. Remotes will include PBS NewsHour White House correspondent Yamiche Alcindor at the White House, PBS NewsHour correspondents Amna Nawaz, William Brangham, Jeffrey Brown, and John Yang in the field and Washington, and others. WXXI's Need to Know host and producer Hélène Biandudi Hofer will provide local election updates throughout the evening at 8:57 p.m., 9:57 p.m. and 10:57 p.m. on WXXI-TV. Connections’ host Evan Dawson will anchor the night’s coverage beginning at 9 p.m. on AM 1370, WEOS-FM 89.5 (Geneva), and WXXInews.org. Dawson will be joined in studio by Adrain Hale, political activist and Kathleen Donovan, a political science professor at St. John Fisher College. NPR’s special coverage of the midterm elections will include newsmaker interviews, reports from state races, and analysis from NPR's Political Team. The WXXI news team will broadcast live from the Monroe County Democratic Headquarters and the Monroe County Republican Headquarters, plus live reports through the evening from WXXI Albany Correspondent Karen DeWitt and New York Now host/managing editor Matt Ryan.